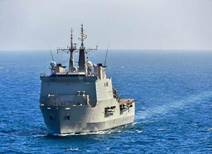 EU Naval Force’s flagship, ESPS Galicia, has two SH-3D Sea King helicopters on board. The helicopters have wide-ranging capabilities, including over the horizon surveillance, vertical replenishment (VERTREP), medical evacuations and crew transfers to other EU Naval Force warships. 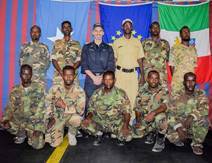 During their recent port visit in Djibouti, EU Naval Force warship, ITS Espero, conducted maritime training with a team from the Djiboutian Navy. 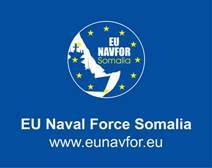 EU Naval Force can confirm that an Indian registered cargo dhow was seized by suspected pirates on 01 April and is now in the vicinity of Hobyo, Somalia. 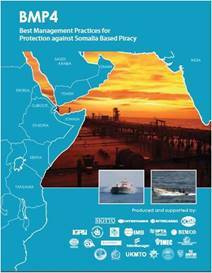 Following the pirating of an Indian registered cargo dhow off the coast of Somalia on Saturday 1 April 2017, EU NAVFOR once again reiterates the need for vigilance to all ships transiting the piracy high risk area. Vessels are strongly recommended to adhere to self-protection measures laid down in the Best Management Practices 4 (BMP4) and to report any suspicious sightings to the UK’s Maritime Trade Operations (UKMTO) centre. The Spanish Orion Air Contingent XXVII, commanded by Lieutenant Colonel Manuel Arozamena Sanz, has completed a successful four month tour with Operation Atalanta off the coast of Somalia. 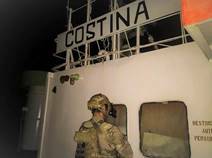 On Wednesday 5 April Operation Atalanta’s Italian frigate, ITS Espero, visited fuel tanker, MT Aris 13, to provide reassurance to the crew following their release from pirate hands after a three-day ordeal. EU NAVFOR: marlabaad waxay leedahay maraakiibta oo dhan waa inay sifiican u Foojignaadaan. Maraaakiibta waxa si,xoogan lugulatalinayaa in isdifaacaan. EU Naval Force is working with counter-piracy partners to investigate reports of a possible piracy incident involving a cargo vessel on Saturday 8 April in the Gulf of the Aden. Further information will be provided by the EU Naval Force once facts about the incident are confirmed. EU Naval Force confirms that cargo ship, MV OS-35, that was attacked by suspected armed pirates on Saturday 8 April, is safe and en route to port after successful cooperation between international counter-piracy naval forces in the Gulf of Aden. On Sunday 9 April 2017 Operation Atalanta’s flagship, ESPS Galicia, hosted seven European ambassadors to Tanzania during a port visit to Dar Es Salaam. 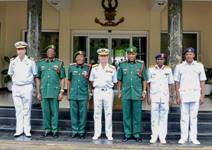 On Monday 10 April 2017 Operation Atalanta’s force commander, Rear Admiral Rafael Fernández-Pintado Muñoz-Rojas, visited the Tanzania People’s Defence Force chief of staff, Lieutenant General James Mwakibolwa, during a port visit to Dar Es Salaam. During their counter-piracy patrols off the coast of Somalia, crews from Operation Atalanta warships ensure that they remain at the top of their game with regular training exercises on the upper deck. During a recent port visit to Salalah, Oman, naval officers from EU Naval Forec Italian frigate, ITS Espero, took the opportunity and visited a cruise ship and two merchant ships, TG Aphrodite and Darya Mahesh, which were also berthed alongside, to talk about the recent pirate incidents in the Gulf of Aden and Indian Ocean. After departing the port of Salalah following her port visit to Oman, EU Naval Force warship, ITS Espero, took the opportunity to carry out naval manoeuvres with the Royal Oman Navy warship, RON Al-Shamikh. Operation Atalanta warships regularly conduct training with local maritime forces to strengthen cooperation and mutual understanding in the fight against piracy and other maritime crime in the Indian Ocean and Gulf of Aden. EU NAVFOR Maritime Patrol Reconnaissance Aircraft (MPRA) have been based in Djibouti and an essential part of Operation Atalanta since 2009, they provide an unbroken expertise assisting and co-ordinating other MPRA contributors based both in Djibouti and the Seychelles. The German MPRA detachment in Djibouti consists of aircraft, aircrew, maintainers, picture analysts and operations personnel. The German Navy have already flown over 150 hours in the last month and has the capability to fly countless missions depending on the requirement of tasks throughout the Area of Operations. EU NAVFOR has operated in the Southern Red Sea, the Gulf of Aden and a large part of the Indian Ocean since 2008. The Area of Operations is an area covering approximately 8,700,000 square kilometres including the Seychelles, Mauritius and Comoros, the Somali coastal territory, as well as its territorial and internal waters. With up to 95% of EU Member States’ trade (by volume) transported by sea and 20% of global trade passing through the Gulf of Aden, EU NAVFOR gives considerable effort to safeguarding trade through this strategic area. On the 19th April 2017, EU NAVFOR warship ITS Espero, conducted maritime training with a team from Bossaso Port Police. The training included theoretical briefings followed by practical demonstration. 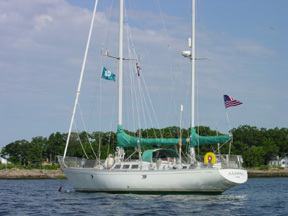 The aim of the training consisted on giving the baseline needed to search and recognize a vessel suspected of committing or about to commit an act of piracy, the provision of initial care for an illness or injury until professional medical services arrives and the way to handle with boats. Earlier this month USNS Kanawha replenished ESPS Galicia of EU NAVFOR Operation Atalanta at sea (RAS). Having sailed into the counter-piracy sea areas in the Gulf of Aden, the flag ship of Operation Atalanta, ESPS Galicia went alongside USNS Kanawha to replenish fuel and stores in preparation for her continued deployment with the EU Naval Force off the coast of Somalia. Late on Saturday night during a European Union counter-piracy patrol close to the east coast of Somalia, EU NAVFOR’s Spanish flagship, ESPS Galicia, received a SOS distress call from the master of merchant ship, MT Costina, to say that his vessel was being attacked by a number of armed pirates in a fast-moving skiff. During ESPS Galicia’s recent port visit to Dar Es Salaam, members of her ship’s company went on board two merchant ships, MV ARCADIA and MV KOTA GAYA, which were also alongside the busy port, to speak to the crews about the recent piracy incidents. On Friday 21 April during their patrols at sea, Italian Navy Explosive Ordinance Disposal (EOD) divers, who are currently deployed on board Italian Navy frigate ITS Espero, carried out mine-countermeasures training. 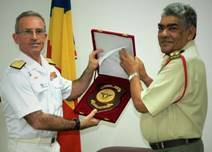 On Friday 28 April, the EU NAVFOR Force Commander conducted a courtesy call with the Chief of Defence Forces Seychelles, Brigadier Leopod Payet. 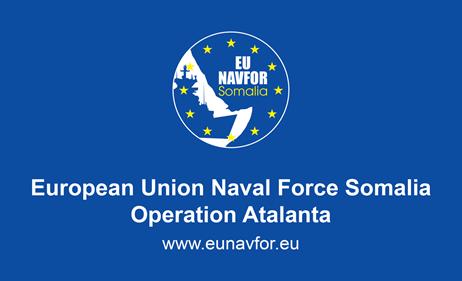 EU Naval Force (EU NAVFOR) Somalia - Operation Atalanta is part of the EU's comprehensive approach to tackle symptoms and root causes of piracy off the coast of Somalia and the EU Strategic Framework for the Horn of Africa adopted in November 2011.